When I was a child, I dreamed of having a twin. That was of course inspired by films and books and included daydreams of funny pranks as well as the romantic illusion that having someone that looked like you was similar to having a soulmate. Growing up I embraced my uniqueness and learned by observation that just because someone looked similar that didn´t necessarily mean your thoughts were similar as well. So it is safe to say that ever since I entered adolescence, I prefer things to be easily distinguishable. And that applies to my sisters and me as well as to my creams and lotions. 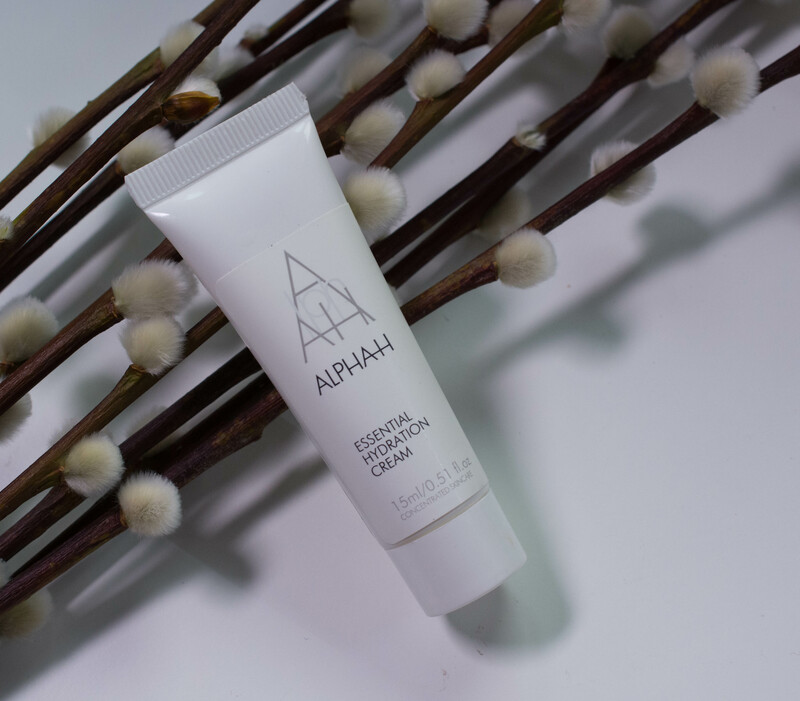 Because when I received a sample size of the Alpha-H Essential Hydration Cream, I almost chucked it in the bin (the friends and family bin, obviously), because I figured I had tested it before. 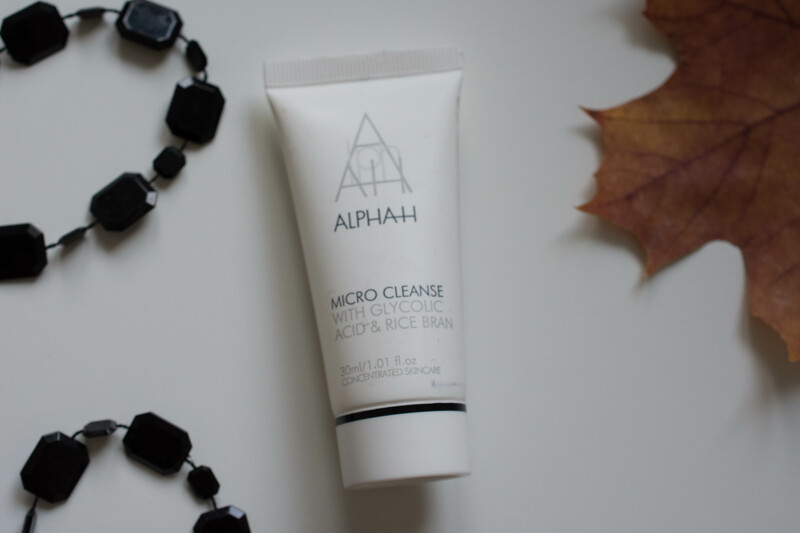 Packaging, smell and name were way too close to the Alpha-H Daily Essential Moisturizer (Review here) for me to immediately realize it was a whole different product. But luckily I discovered my mistake and used my face once again for testing purposes. It is no secret that skin care is my passion. That is probably due to the fact that I am a physician and I love the scientific aspect, but I guess being 37 and always having had problematic skin is a big reason as well. I believe that no makeup will look good as long as the skin beneath it is neglected, and even though I am not afraid to age (the only way out of it is dying young, you know), I want my skin to look its best at all stages of my life. 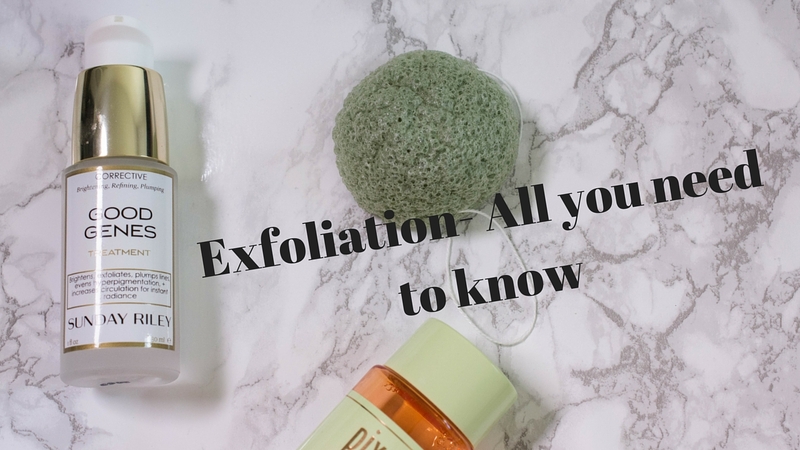 Whenever I talk about exfoliation, chemical exfoliation in particular, I get a ton of questions and am asked for recommendations. So I figured it would be best if I sat down and filmed a video, hoping to answer as many questions as possible. You know, it sometimes takes some time to actually convince myself to face the camera completely without makeup, but as my appearance improves during the course of the video, I relax. 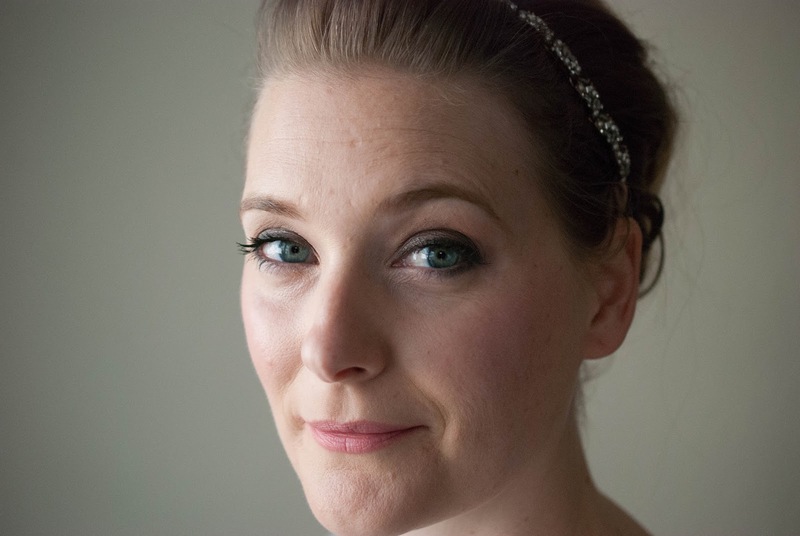 Now doing it the other way round, starting with a full face of makeup and turning myself into a concealer-less, scrubbed face person with oil all over was strange, to say the least. But you asked for it and here it is: My evening skincare routine. I really try to eat healthy. Not only during pregnancy, but all year round. And while I don’t struggle too much with getting my greens in and snacking on fruit and nuts, I do have a sweet tooth. To be honest, it is out of control. The best way to keep it under control? I just don’t buy the stuff. Because if I do, I will end up eating every last bit of it, going back to the sweets drawer numerous times a day purely out of habit. 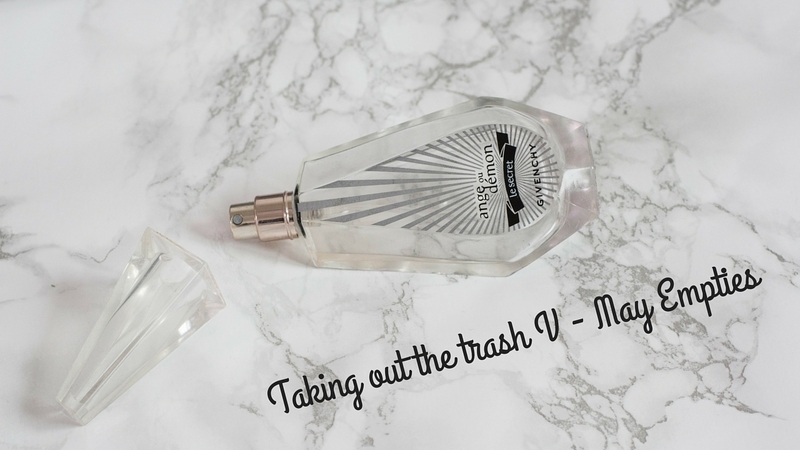 Same seems to happen when I have a product with physical exfoliant in my bathroom: Even though I vouched to never use one again and instead stick to my chemical peels, I keep going back and reach for it! 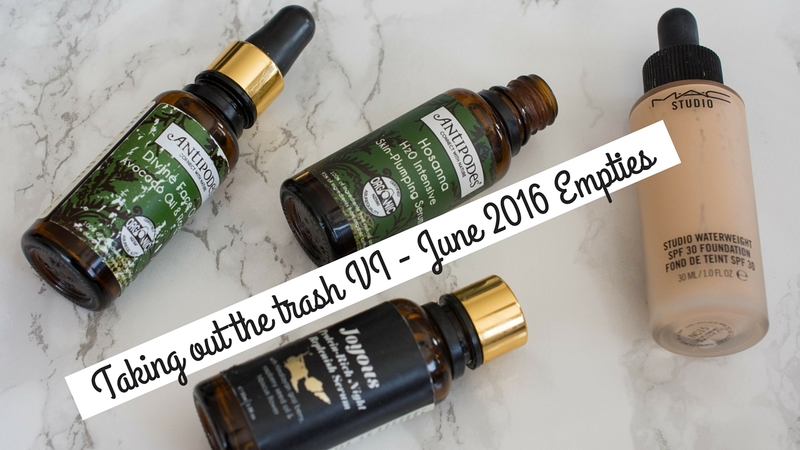 Time to throw away my empties once again this year. And because I don’t believe in waiting for New Years Eve to start something new, I figured that would be the perfect opportunity to film my first ever YouTube video! So if you want to see me “ahm” and “äh”, struggle for words and get sad about Body Butter, click play or watch it here on YouTube. Acid Toning Week – sounds fancy. Like a proper blog theme week. But let´s not get overexcited, shall we? 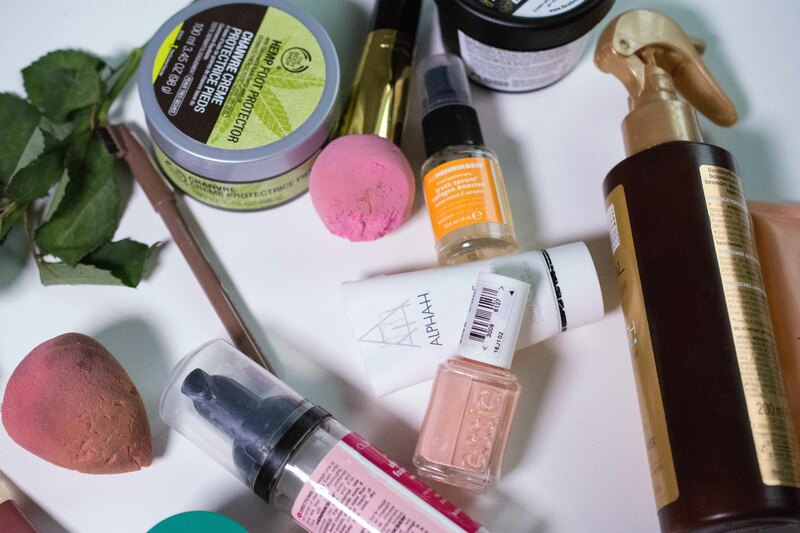 In fact, I just wanted to write about my experiences after introducing acids into my skincare routine about two years ago, and as I have three different on rotation at the moment, I figured, it would just last me a week. To put it out there: I had never even heard about acid toning until 2012. Shocking, I know. Of course, Salicylic and Lactic Acid were no strangers to me, but even though they would make their appearance during my workday, the thought of using them on my skin never occurred to me. 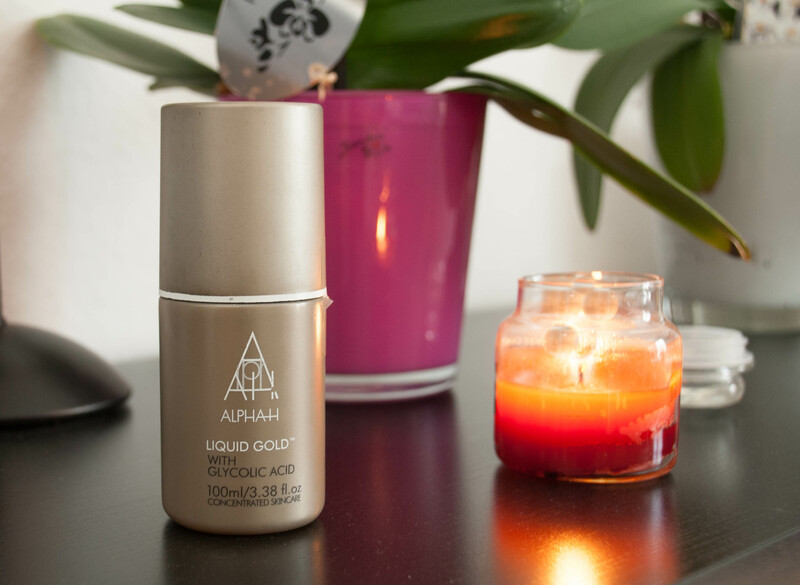 I suffer from breakouts and hyper pigmentation, as I seem to mention in every other blogpost, and one day while aimlessly clicking away as you do, I stumbled upon a blogpost on A model recommends (still one of my favorite blogs) talking about Alpha H Liquid Gold with Glycolactic Acid and how it helped with even that. I was tempted, but as it is quite on the pricey side, I hesitated and forgot. Discovering Caroline Hirons (the queen of skincare) closely after, I browsed her “Cheat Sheets”, and there they were again: Acids. Mentioned both in Acne and in Anti-Ageing, they sounded to good to be true. And so I took the leap of faith and invested in some Alpha H Liquid Gold.